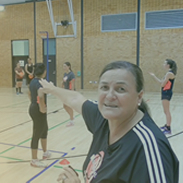 Working in groups of up to 4, players spaced approximately 4-5 metres apart. 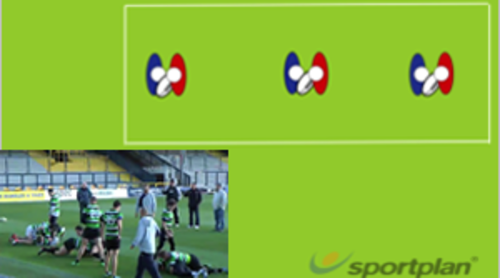 - A normal game of touch, however with conditions. Conditioned Game - Breakdown Technique. The aim is to the defensive situation to keep changing the defence gets used to drifting or pressing. Equal number of defenders and attackers. Use bibs to identify both teams. Normal laws of rugby apply; a knock on etc. results in a turn over. Drill to practice defensive organisation when the kicker must put their teammates onside. Set up a grid roughly 30m long and 30m wide. 5 players in a group line up within touching distance of one another, and stand facing the coach who has a ball in his hand. Crocodile roll is one technique to repmove threats from a breakdown. 5 players in a group, line up within touching distance of one another, facing the coach who has a ball in his hand. React the quicker and get on the front foot in attack with this session, by improving their rucking technique! 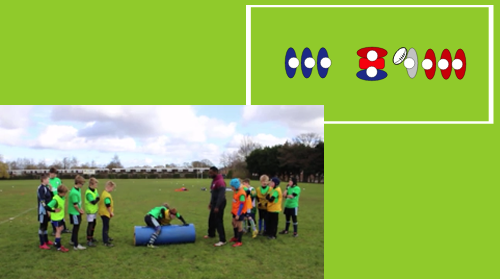 Continue to build the phases in your play and get your team working as an unit to offer support with this session! 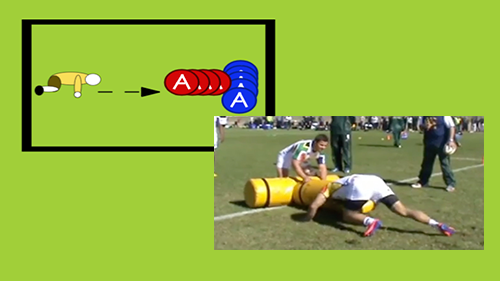 Rucking isn�t just about the breakdown itself, get your players thinking ahead towards the next play and make your rucks twice as effective. Teach your players to make the right decisions in the breakdown - don't lose possession when your players go to ground. Help your side avoid the breakdown by focusing on their continuity skills - keeping the ball moving and starting to work on contact! How many tacklers are allowed in U10s rugby?